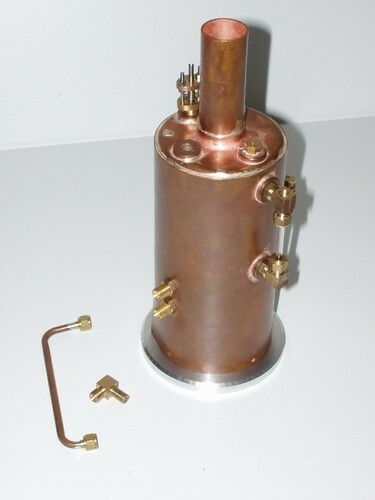 The boiler is 3" drawn copper tube, and is about 6 inches long not including the flue. The base is aluminium, and it is not complete. Note the oxidation - this boiler has been sitting idle whilst I work on lathe mods for a while and was handled quite extensively. Where it has been handled, it has oxidised. It will be painted with Hi-Temp black and lagged with hardwood in the end. 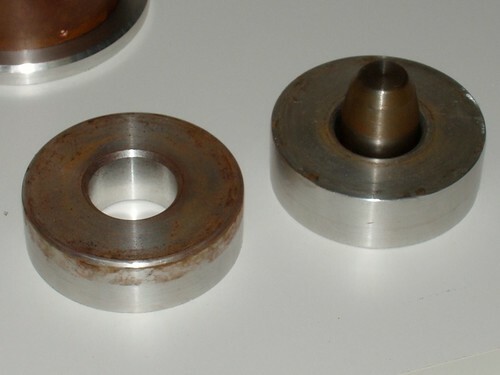 These are the aluminium former and anvil for the two end caps. The small steel piece sitting in the anvil on the right is the drift for forming the flange that mates with the flue. 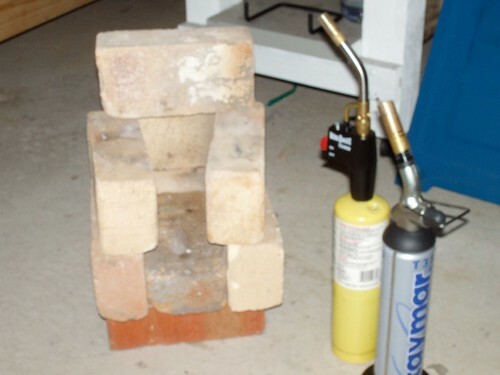 This is a pic of my brazing hearth. :-) A pile of fire bricks that sits on the concreter floor of the shop. Next to it stand the two torches I used to do the soldering on the boiler above.